﻿ How to Fix "Problem Ojecting USB Mass Storage Device"
Position: Home > Tutorials > Data Recovery Software > How to Fix "Problem Ojecting USB Mass Storage Device"
How to Fix "Problem Ojecting USB Mass Storage Device"
We've encountered several common USB product's issues, problem ejecting USB mass storage device is one of the issues. Do you know why we are always having data loss on using USB products? Today is this article, we will write about how to fix problem ejecting USB mass storage device. USB products are everywhere in the world, such USB flash drive, USB hard drive, USB memory stick, even the keyboard, mouse, SD card or other computer components & accessories can be connected with computer by USB port. Because of the huge capacity of the USB products, we are now storing whatever we want into the storage, such as docs, photos, archive files, videos, music, etc. It's not difficult to image this, data loss problem happen due to its frequent use, and we can list 4 common data loss on using USB products. 1. Plug off the USB product while it's still reading & writing. 2. Power supply failure due to the laptop or digital camera is out of battery. 3. There are bad sectors on the USB product. 4. Accidentally deletion, wrongly formatted or other improper operation caused data loss. Anyway, today we are focusing on how to fix Problem ejecting USB mass storage device issue. You can follow 3 steps to remove the USB product safely. Step 1: Check your computer to find out whether there is any data copying/transfer in progress. If there is, close it. Step 2: Check your computer to find out whether there is any program is using files from the USB product. If there is, close it. Step 3: Open Task Manager to find out whether there is any unnecessary background application after step 2. If this still couldn't help, try to close Explorer.exe to give a shot. Many of our customers plugged off the USB product directly in the reason of they have no ideas what to do next while receiving the error message: problem ejecting USB mass storage device. Then, you can also rely on Bitwar Data Recovery to recover lost data on USB products. Bitwar Data Recovery is a 30 days free trial USB data recovery software that everyone can use it easily, no matter experienced user or green hand. 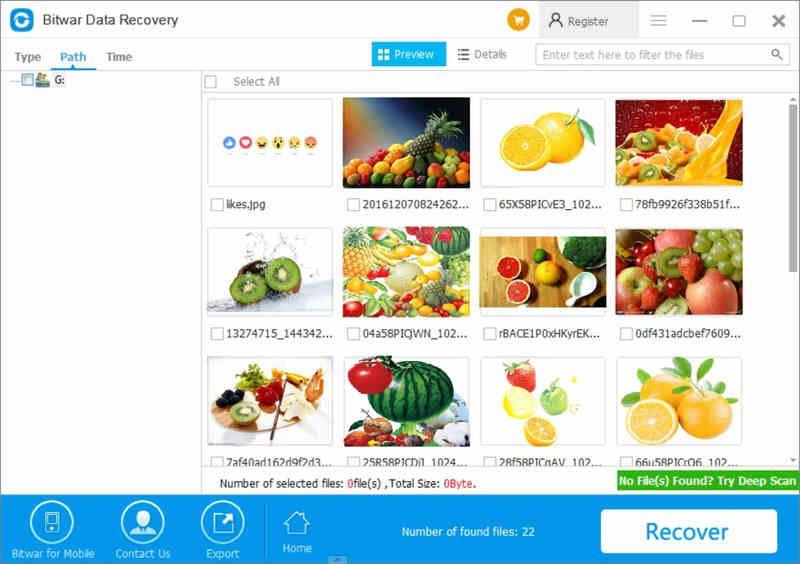 Its easy 3 steps recovery interface is quite clear for us to recover lost data step by step. Step 1. Download, then install and launch software,after launched, then select the USB product. Step 2. Select the scan mode. You can follow the description under each scan mode to decide which mode you need. Step 3. Select the file types on USB product and then start to scan. Step 4. Select what you need and hit Recover to save data to the path you need. All of our users can recover lost data on USB products now. Therefore, I am surely you can also get back your data easily by following the steps as above. But please remember that don't remove the USB product while receiving problem ejecting USB mass storage device, check the computer by steps that I have listed in this article. If you have interest to read more, you can go and visit this article: You need to format the disk in drive before you can use it,This is another common issue on USB products. You can purchase Bitwar Data Recovery after 30 days free trial. There's a checkout portal inside the software and you can also buy from Bitwar Online Store. Previous：[Issue Solved]You Need to Format the Disk in Drive Before You Can Use It. Summary：How to solve the issue when we met an alert: You need to format the disk in drive before to use? Here's an article to lead you how to. Next：How to Fix "Please Insert a Disk into Removable Disk"
Summary：Here's a tutorial guides you step-by-step to fix "Please insert a disk into removable disk" error in Windows 10/8/7 and shows the way how to recover data easily and quickly.